With Bellevue City Councilmember Kevin Wallace announcing he is not seeking re-election, three candidates are looking to fill his place on the council. Wallace has been a conservative voice on the council, urging fiscal responsibility and a Bellevue-focused rather than regional view since he was elected in 2009. Wallace has endorsed candidate Jared Nieuwenhuis, but two more liberal candidates are vying for the position as well, Karol Brown and Heidi Chiat. Chiat has a background in urban planning and architecture, and said she was spurred to run for public office by the hopelessness she felt when President Donald Trump was elected. 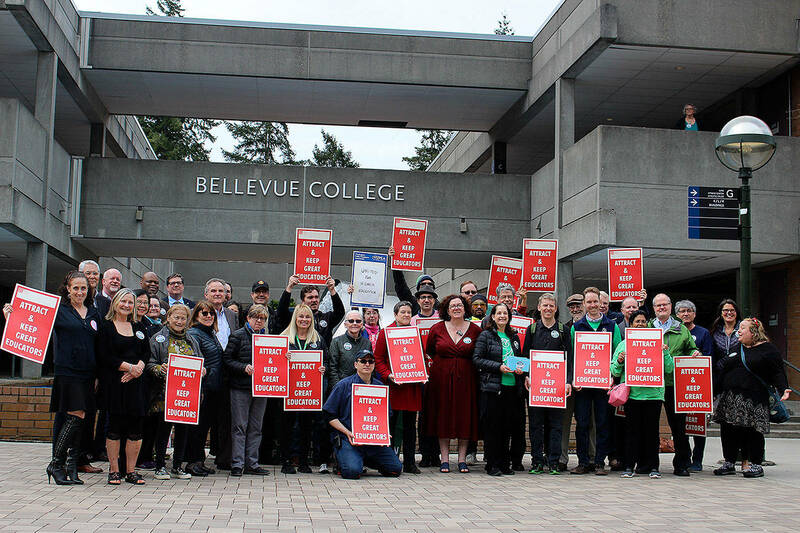 Describing herself as a “Bernie-style Democratic Socialist,” Chiat is concerned with her children and other families like hers being priced out of Bellevue. She is a teacher and an advocate for paying a fair living wage. Universal childcare and preschool, funded by a city gas tax and the Bellevue School District, is also on her agenda. She would also like to limit development to no more than three stories and require residents actually live in the homes they purchase rather than using them as investment havens. Brown finds herself more in the middle of her two opponents. An immigration attorney, Brown said the diversity of Bellevue requires a deft hand. Brown said the city needs to encourage high density housing near transit to help spur affordable housing in Bellevue. With that, she said the city should invest in transit to help alleviate congestion plaguing Downtown and the Interstate-405 corridor, as well as replace parking lost by Park and Ride closures. She said communication and compassion between groups with seemingly different goals can help make the city the best it can be. That includes people of different economic backgrounds as well as ethnic ones. While Brown was light on concrete plans for change, she said bringing in “world-class” employees for businesses would allow Bellevue’s economy to remain strong. Nieuwenhuis has served on Bellevue’s Parks and Community Services Board, as well as the boards of LifeWire, the Lake Hills Neighborhood Association and The Sophia Way, among others. He hopes to use this experience to keep the city more focused on its inner workings. Nieuwenhuis said that the lack of transparency with the planning of Fire Station 10 and the permanent men’s homeless shelter made him realize he wanted to be involved on the council. He believes the best way to increase inventory of affordable housing involves both keeping people in their current homes and incentivizing developers to include below-market housing to keep the economy thriving. Some rezoning approaches might work as well, he said. Nieuwenhuis said transportation is one of the city’s key issues, citing cut-through traffic in neighborhoods as a risk to pedestrians and children. He said the city should work with Sound Transit on more commuter bus lines and should create more walking and bike paths. But his main reason for running is to listen to what the residents want.